when you register for the conference. 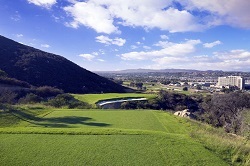 Consistently ranked among the nation’s best courses by Golf Week magazine, Journey at Pechanga's 72-par award, world-class links course hosts some of California’s most popular tournaments. Join the fun and competition amid beautiful weather and stunning terrain. The CPCA tournament will have contests at most holes and prizes at the end of the day. 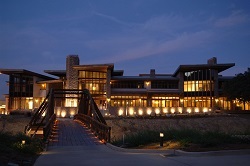 Fee $109 includes green fees, cart and range balls. Rental clubs are available ($60). Note: No t-shirts, tank tops, jeans, cut-offs, athletic wear, cut-offs or any type of denim. Collared shirt, mock shirt, slacks, skirts, skorts or walking golf shorts are acceptable attired. Metal spikes are not allowed. Only soft spikes or soft soled shoes are permitted.